Spray insert of 6- to 7-quart slow cooker with cooking spray. 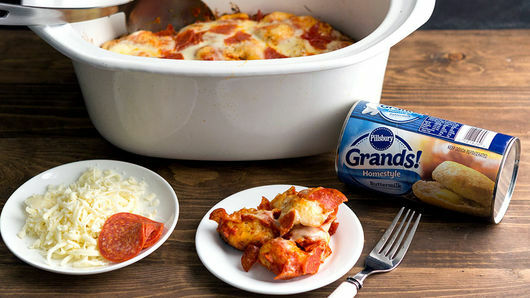 Separate 1 can (16.3 oz) Pillsbury™ Grands!™ Southern Homestyle refrigerated Original biscuits into 8 biscuits. Cut each into 6 pieces; place in large bowl. Cut 1 cup pepperoni slices into quarters. Place half of the quarters in bowl with biscuit pieces. 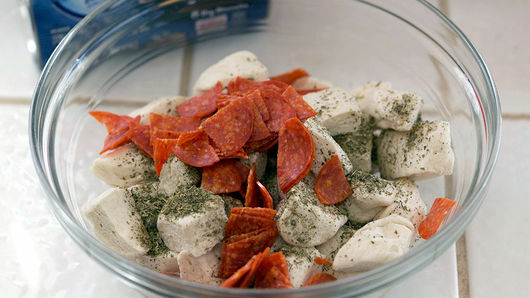 Add 2 teaspoons Italian seasoning to bowl with cut biscuits and pepperoni quarters; toss to mix. Place biscuit mixture as evenly as possible in bottom of slow-cooker insert. 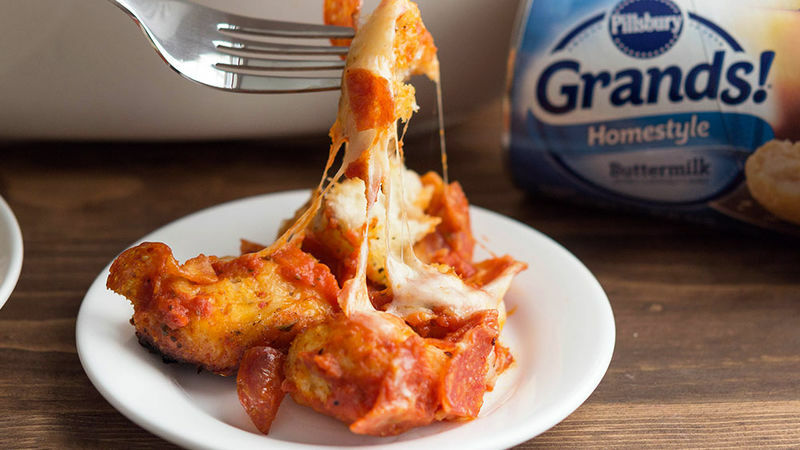 Spread 1 cup Muir Glen™ organic pizza sauce evenly over top of biscuits, making sure to get some sauce around edges so that biscuits are not touching insert without sauce in between. Sprinkle 2 cups shredded mozzarella cheese and remaining half of pepperoni over top, trying to keep cheese away from touching insert. 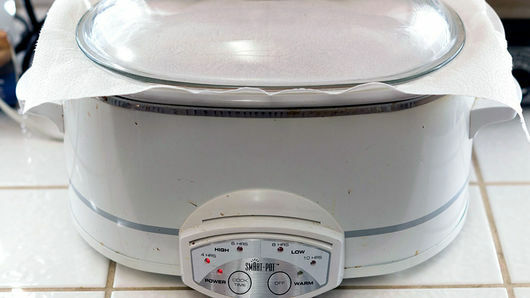 Remove bubble-up bake from slow-cooker insert while warm to prevent biscuits from sticking to insert. Serve warm. If you don’t like pepperoni, you can leave it out. 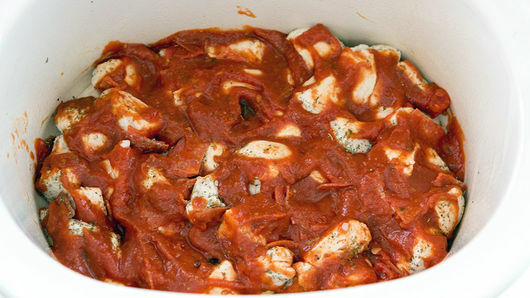 Or use your favorite pizza toppings instead! This makes a great party appetizer or main dish meal. 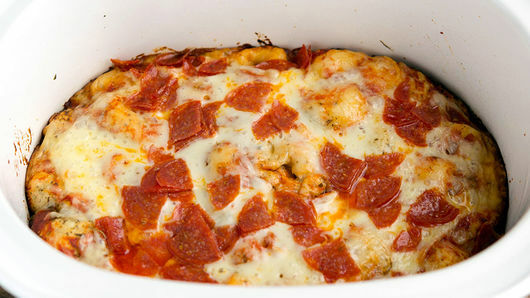 Serve with vegetables or a salad for a delicious twist on pizza night.